Whether you live in a two-story building or not, walking down stairs can often be unavoidable on a daily basis. If you experience knee pain going down a flight of stairs or even just a few steps, it’s often because of your kneecap (patella). Your knee cap is a small bone, but it’s placed under undue pressure daily, which makes it hard for it to move around. Walking down stairs puts even extra strain on your patellofemoral joint, which is the underside of your kneecap. To protect your kneecaps, each one is surrounded with the thickest layer of cartilage in your entire body. When you are walking down stairs, your kneecap feels extra pressure and stress since it feels up to 4x your body weight. That means that a 150 pound person feels almost 600 pounds in their kneecap when they are going down a flight of steps. If anything interferes with how your kneecap moves or how your cartilage is surrounded around it, you’ll feel knee pain going down stairs. While Runner’s Knee accounts for 25% of knee injuries by athletes, it also affects non-runners and sedentary people. It remains the number one cause of knee pain going down stairs. Definition: It’s a problem in the way your knee cap (patella) moves, which puts extra pressure on the cartilage. Causes: muscle weakness, muscle tightness, flat feet, and problematic shape of your kneecap or groove. Aggravated by: walking down stairs, kneeling/squatting, repeated activities, extended periods of inactivity. Treatment Options: The main goal is to reduce pain and swelling by using one of these methods. Rest your knee until pain reduces. Use ice or cold packs for 10 minutes to reduce swelling and reapply after two hours. If you experience knee pain after inactivity, aim to walk around a bit once every 30 minutes. This keeps your knee joint lubricated and makes it easier to walk downstairs without pain. Wear a brace to support your knee and keep the patella in place. This condition often gets mixed up with Runner’s Knee, but it affects the back of your knee instead. It also tends to affect teens and young adults more often, especially females. Chondromalacia Patella happens when your kneecap rubs against a bone versus merely touching it. Definition: It’s damage to the cartilage at the back of your kneecap. Causes: Muscle imbalance, flat feet, overuse of that leg and knee, and poor alignment so the kneecap sits either too high or too low. Symptoms: achiness and front knee pain, grinding/grating noises, minor swelling and tenderness, knee pain going down stairs. Treatment options: In order to properly treat this, it’s imperative to know what’s causing it. The first part of treatment often involves studying your leg muscles. It’s is also important to realize recovery takes a few months. PRICE-Protect, Rest, Ice, Compress, Elevate. This is the first step in reducing pain and inflammation to begin your recovery process. Try some kneecap exercises, as well as general strengthening exercises. This will help with the muscle imbalance and improve your kneecap. Take some NSAID’s to help with the pain. Re-think your work-out routine. Avoid running for awhile and try something easier like swimming. Buy different footwear. Wearing the correct footwear will help in absorbing some of the shock and protect your kneecap. If the arches of your feet roll inward, you’re likely to have a flattened arch, which puts even more pressure on your knee. Consider getting some personalized orthotics. Lose some weight. This is the perfect time to lose a few pounds. For every pound of your body weight, your knees feel an extra four pounds on your knees when going down a flight of steps. Even if you lost five pounds, your knees would feel 20 pounds less pressure, which could be a lot less pain. Perform some flexibility exercises. 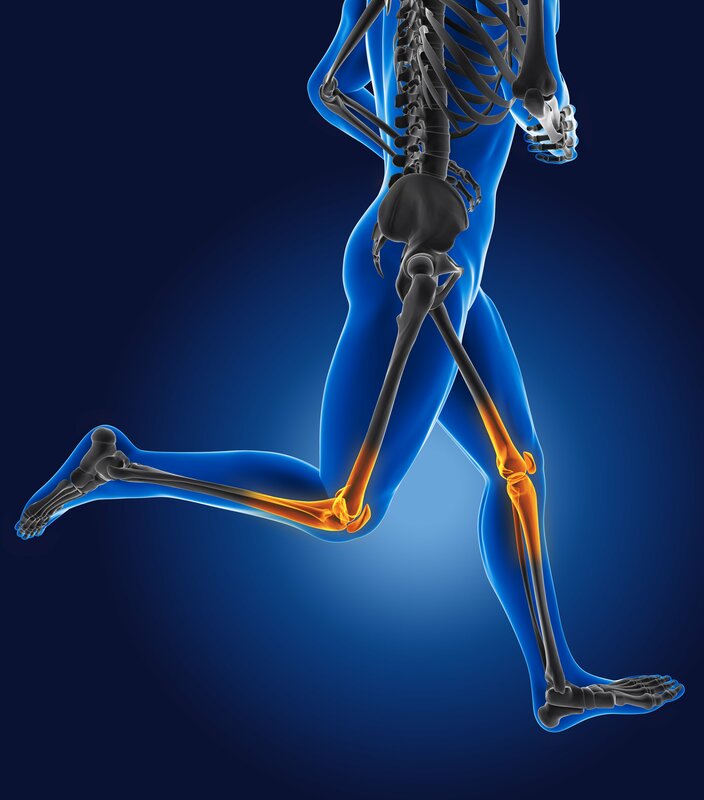 If your knee, calf, hamstring, or ITB muscles are tight, it will cause pain in your kneecaps. Performing some exercises to strengthen your quadriceps, your glutes, and your ankles reduces the pressure put on your knees.